Limited Edition Braemar Smock in Double Ventile® - a lighter weight, fully waterproof and versatile windshirt. A limited edition fully waterproof, lighter weight version of our popular Braemar DV smock. This smock has an L35 Ventile® inner which is 30% lighter than the L24 Ventile® used in the Braemar DV smock. A versatile windshirt benefiting from being fully waterproof yet 15% lighter than other Double Ventile® smocks in our range. It's suitable for all weather conditions and ideal for bushcraft, nature watching, cold weather walking and field sports. 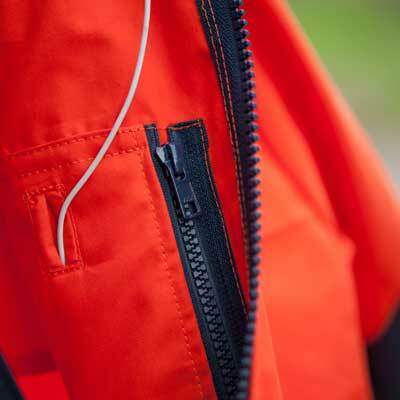 The dual coloured Braemar DV Limited Edition smock features side zips for added ventilation and a range of pockets as standard; it can also be customised for length. Named after the village of Braemar, situated in the heart of the Cairngorms National Park and surrounded by stunning mountain scenery and beautiful glens containing ancient pine forests. Braemar was famously at the centre of the 1715 Jacobite rebellion. Find out more in our Glossary. For a similar smock design in Cotton Analogy®, consider the Foinaven Cotton Analogy® Smock; for extreme conditions take a look at our fully specified Cruachan DV Extreme Smock.